There are numerous new additions in this version but the standout feature has to be the addition of almost 90 color pickers which make use of the brand new multi-color-picker control which allows you to add dozens of color pickers in a very compact user friendly way! What’s New At a Glance! New: Almost 90 Individual Color Pickers Added! New: Optionally insert author bio on posts. Updated: Adding custom fonts now even easier! Updated: Multiple Google font support added. Updated: Recent posts widget modifications. 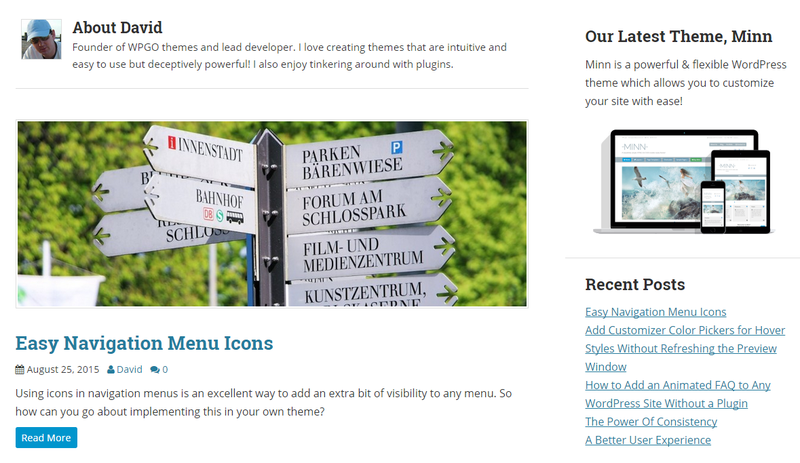 Updated: Responsive menu functionality improved. Updated: Shortcode attributes added for box/button/testimonial shortcodes. Updated: Added a page break button in visual and text editor modes. Updated: Lots of other fixes and enhancements. Almost 90 Individual Color Pickers Added! Previously there were only a few color pickers to change key colors but in Minn 1.2 we’ve really pushed the boat out and added nearly 90 color pickers. You can now alter almost every color including all five navigation menus! Not only that, we’re now using a brand new multi-color-picker control that makes better use of the WordPress customizer space and arranges the colors in logical sections so you can access them MUCH easier. We’ve added support for author bio information on single posts and author archive pages. Simply fill out the ‘Biographical Info’ field on the user profile page to make it appear. You can also now optionally upload an author image directly from your profile page to display alongside the user bio text! To compliment this feature there are flexible theme options to control the user bio visibility on all posts/pages. 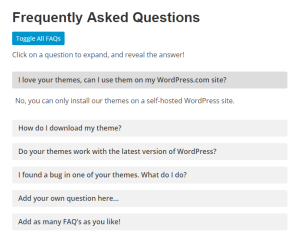 They can also be managed on a per post/page basis too via options on the post editor. 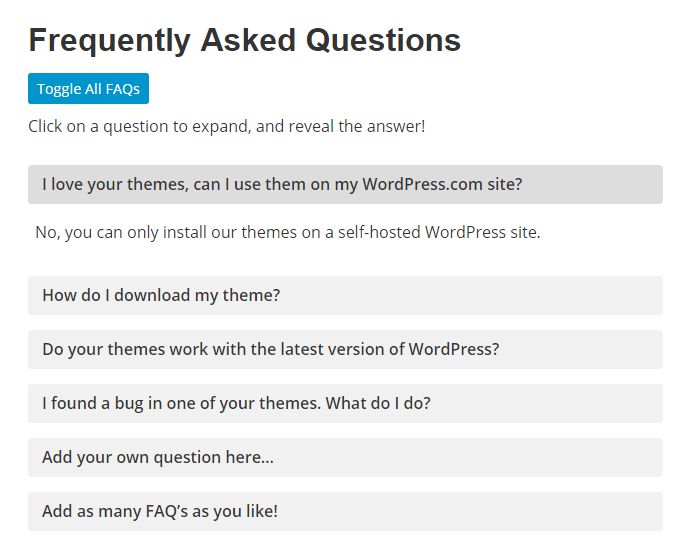 There’s a new FAQ page template added to Minn 1.2 which brings the total number to 5. You can find out more information about this new feature here. Yes, you read that right! We’ve added a content slider shortcode so you can now add multiple sliders anywhere you like via a simple shortcode. There’s also a new vertical spacing shortcode to easily add custom vertical spacing between elements in a standardized way improving the flexibility of your layout. Adding Custom Fonts Now Even Easier! This enhancement makes adding custom Google fonts even easier. Just type in the name of any Google font (over 700 fonts to choose from) and use it straight away! Added support for up to FOUR separate Google Fonts. For each one choose from ANY available Google Font and apply it to a specific CSS selector. This widget has had a significant update. 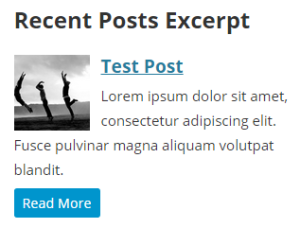 You can now control the length of each post displayed in the widget by using the more tag, or specifying an excerpt. 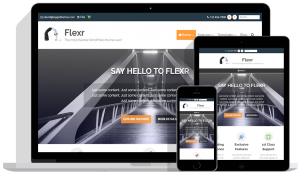 If a featured image is specified for a post then this is displayed with the text. There are options to choose the image position to be inline, or above the title. You can also specify the more link to be text or button. All responsive sub-menus are now collapsed by default, rather than being expanded in one long list. Simply tap/click them to expand. 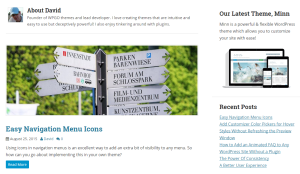 For menus with a lot of nested sub-menus this makes the responsive menu much easier to navigate! Added border color (bcol) and border width (bwidth) attributes to the box and button shortcodes. Added support for rgb colors (including transparency) in box and button shortcodes. Added three new attributes to the tml (testimonial) shortcode: ‘no_excerpt’, ‘no_image’, ‘no_link’ to override testimonial settings. There’s now a page break button in visual and text editor modes to easily add pagination to any post/page. When clicked it adds the <!--nextpage--> tag to the post editor. Updated the default Google font CSS selector in the customizer to apply to the nav menus properly. Changed from “nav a” to “.navigation ul li a”. Fixed issue with custom Google font input box. Entered fonts were not being recognized. Fixed issue on customizer with editing widgets. Text fields were losing focus when preview window was updated. Added three new post template action hooks: ‘wpgo_before_post_archive_loop’, ‘wpgo_after_post_content’, ‘wpgo_after_post’. Added new hook to filter read more link when showing excerpts on index page: ‘wpgo_the_excerpt_more_link’. Added utility function to convert hex color to rgb color. Includes optional transparency parameter. Added icon preview to admin menu page. This makes it much easier to see at a glance which menu items have been assigned an icon. Paginated content styles as well as blog index pagination styles improved. Skype URI links now supported (e.g. skype:username?call). 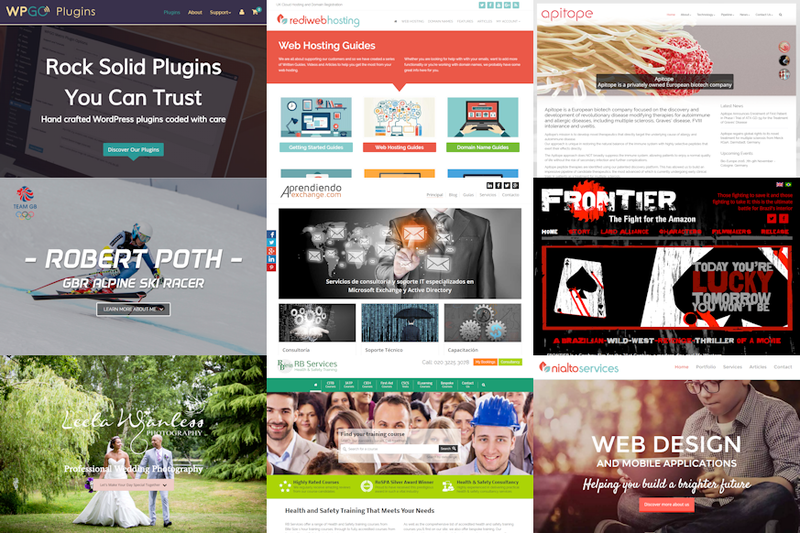 All widgets updated to remove PHP4 compatibility for constructors as recommended by WordPress best practices. There’s Even More to Come! There are even more great features on the roadmap for Minn 1.3, including support for multiple color schemes, front end testimonial submission forms, and a home pages designs pack so stay tuned! 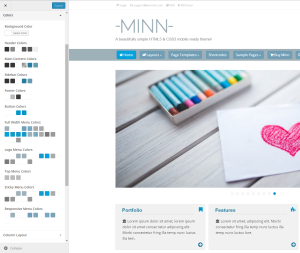 Have YOU Tried Minn Yet? 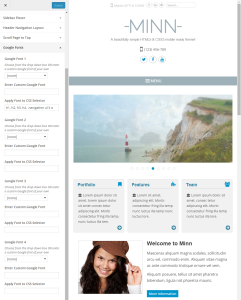 Existing Minn users will see a theme update notice in their WordPress admin area prompting to update to version 1.2. However, if you’ve yet to discover the delights of Minn then this new release is a great opportunity to try it out. 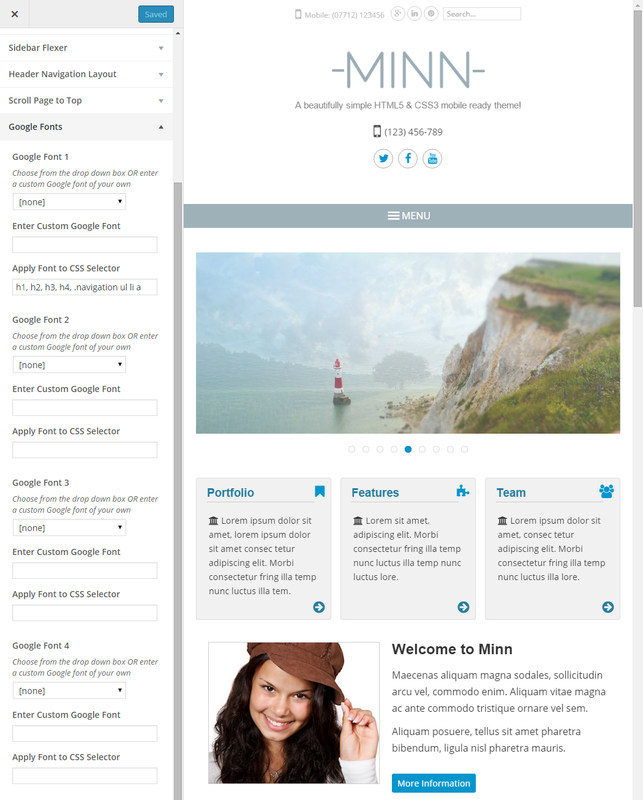 Click the button below to get started using Minn today!